Today’s backpack vacuums are lighter and most powerful than ever before. 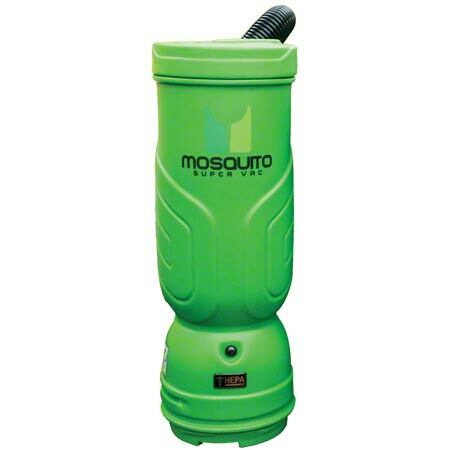 Try our best in the industry Mosquito brand HEPA commercial backpack vacuums to get more done. Backpack vacuums offer more flexibility and maneuverability over traditional vacuum cleaners. Great for cleaning any carpets, hard floors, air ducts, stairwells, walls, manufacturing lines, under furniture and behind book cases. Backpack vacuums offer unrestricted movement allowing you to clean more quickly and effectively than conventional vacuums. All of our backpack vacuums come with an ironclad warranty: lifetime body and 7 year motor. Each purchase includes an extra vacuum bag and a 7 piece toolkit to handle anything in your path! 10 quart, HEPA Filtration with 7 piece toolkit. 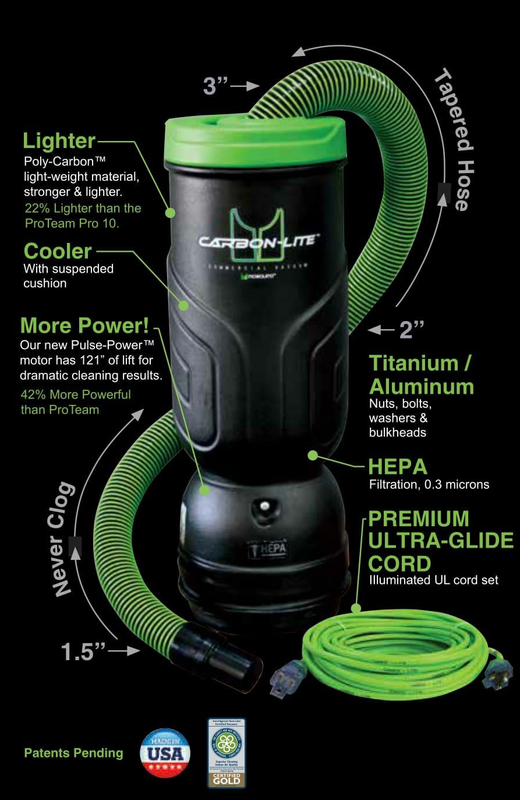 The new Carbon-Lite is the lightest, most powerful commercial backpack vacuum available today. Designed to work where other vacuums fail: the tapered hose and pulse power motor ensure you’ll never suffer from clogs or reduced performance. The Poly Carbon body and titanium/aluminum components make the Carbon Lite stronger and lighter than the rest. 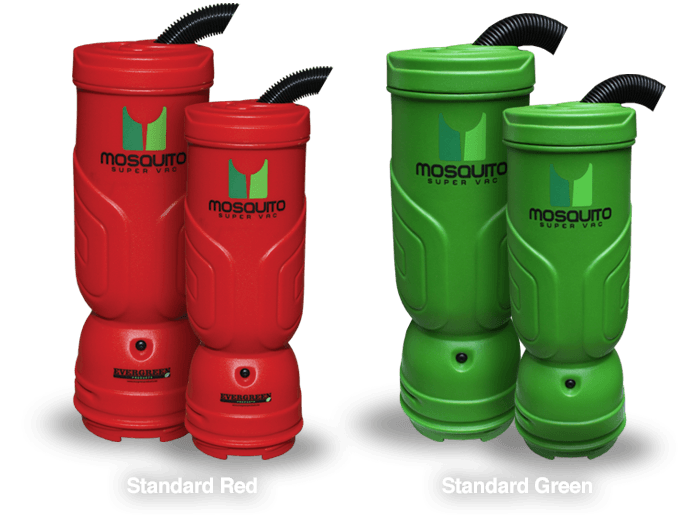 Always forward thinking, Mosquito’s 10 quart Carbon Lite also doubles as a blower! Ask about the available tools to fit your needs – 7 piece sidewinder tool or the 7 piece standard kit with the new Z-Glide carpet tool. 6 quart / 10 quart, HEPA Filtration with 7 piece toolkit. 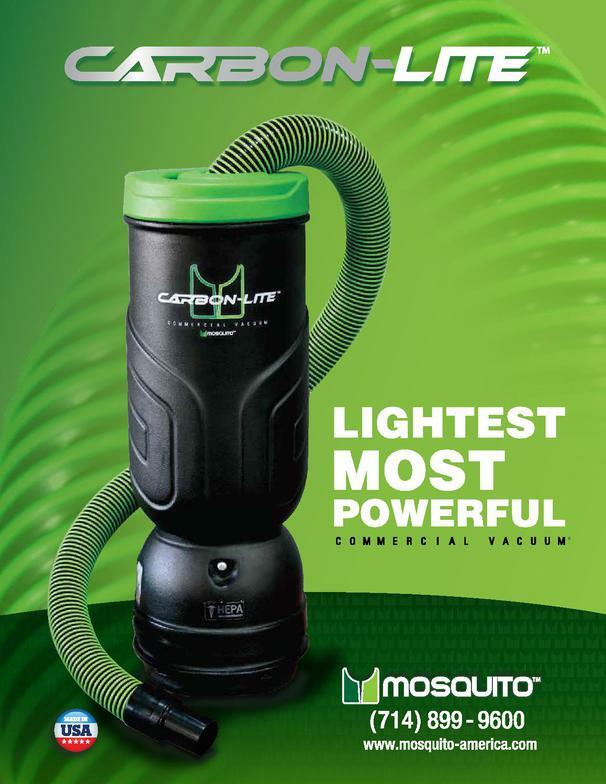 Vacuum 60% faster with the Mosquito SuperHEPA. Extremely high air-flow speeds your cleaning, increasing productivity, reducing costs and effort. Highly effective in removing fine dust and particulates embedded deep in the Carpet fibers. Great for use in Schools, Office Buildings, Hospitals, Hotels and high traffic areas. 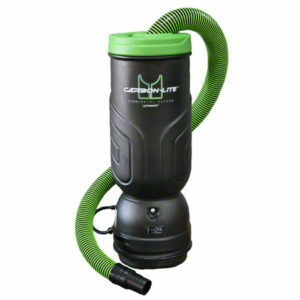 The 10 quart model doubles as an air blower for added functionality!